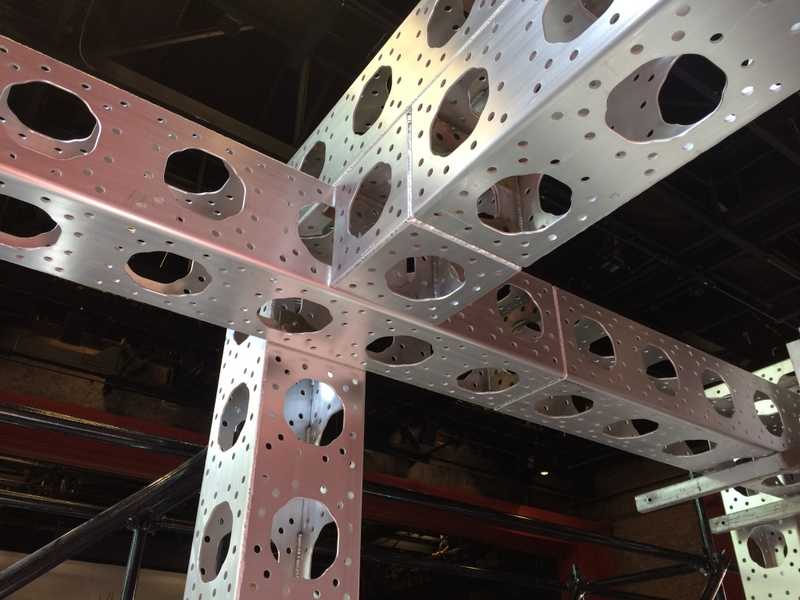 ModTruss at Spoleto Festival USA - Productions Unlimited, Inc. | Productions Unlimited, Inc.
Modtruss is a new truss product that allows for unlimited options with truss structures because if its modular, 6-axis design. 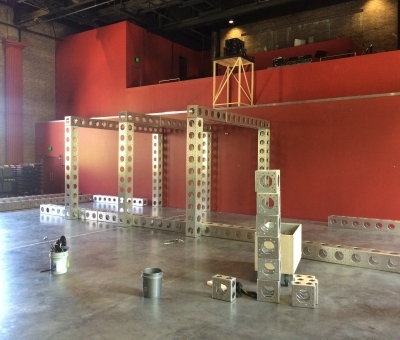 The ModTruss website compares it to an Erector Set, stating that ideas that once would require extensive custom fabrication can now be constructed as easy as using a simple child’s toy. 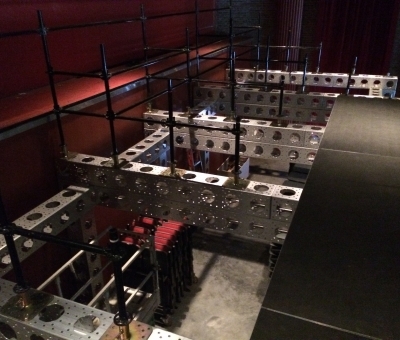 Mike East, Vice President of Technical Theatre Solutions, LLC, recently purchased an inventory of ModTruss for the Spoleto Festival USA in Charleston, SC. TTC is the production management company of Spoleto Festival USA. 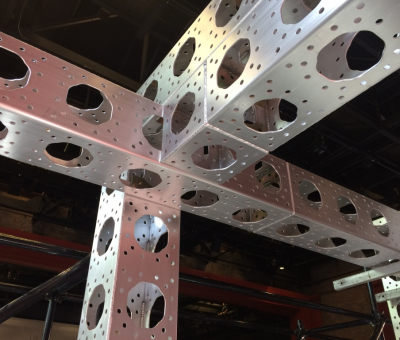 ModTruss comes in 3″ x 3″, 6” x 6”, and 12” x 12” trussing, is lightweight, and has a repetitious hole pattern that allows for endless configurations. 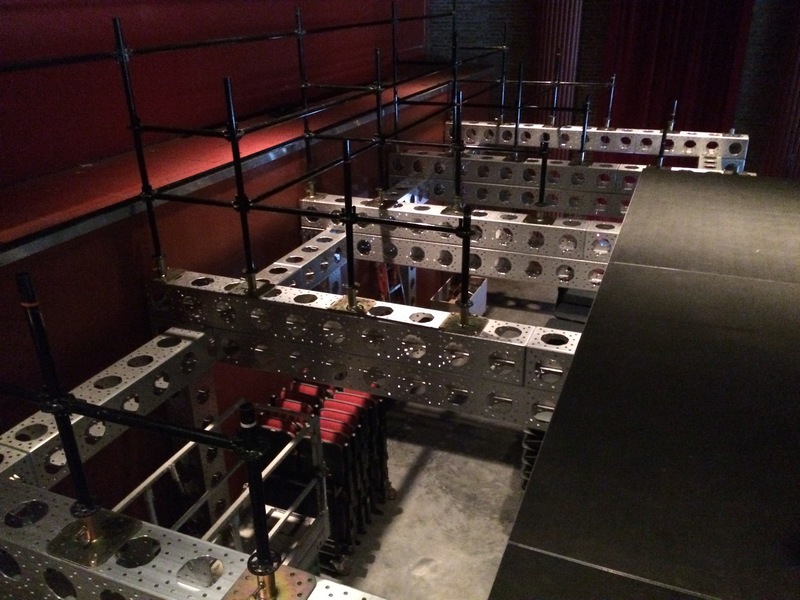 Brian Phillips, President of Productions Unlimited, Inc., and East worked on different design options to integrate the venue’s existing system with a versatile ModTruss system. 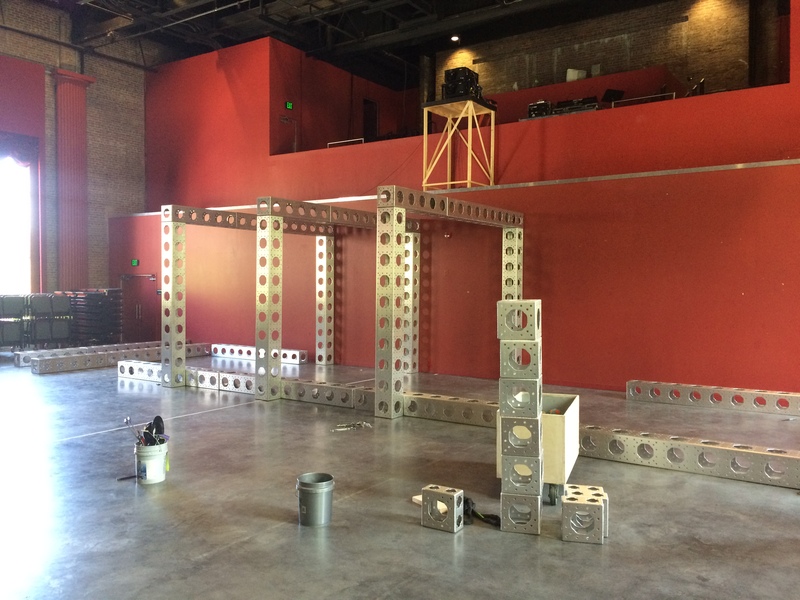 ModTruss can be purchased or rented through Productions Unlimited, Inc. Please contact us with questions or for a quote. For more information on ModTruss, please visit www.modtruss.com.